The Street parade started at about 8pm and there were plenty of colourfull floats and performers. 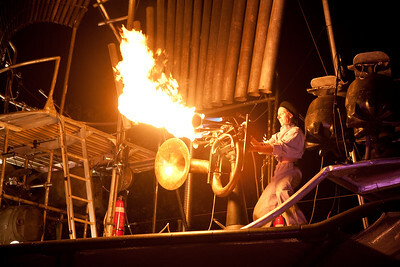 Next up was to check out the “Fire Organ” – WOW.. that was awesome and I intend on going back and checking it out again one night I was so impressed. A quick visit to the Garden of Unearthly Delights for a quick feed and a beer and then headed off to the catch the last 2 acts of the Free Concert.